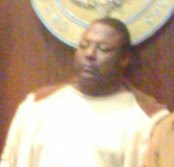 HELENA-WEST HELENA-Anthony "King Deuce" Banks, appointed by Mayor Arnell Willis as the Parks and Recreation Director, has been accused of making sexually inappropriate communications with a 12-year-old girl at the Helena-West Helena Community Center where he is believed to spend most of his working time. The Inside Scoop first learned of the allegations on Friday afternoon. After verifying with three different sources that the girl's mother had been at City Hall trying to talk with Mayor Arnell Willis, the Inside Scoop was able to obtain the name of the Mother and interview her. The Inside Scoop is keeping the mother's name anonymous in order to protect the identity of the 12-year-old victim. During the interview, the Mother revealed that her daughter told her that Banks had made a series of sexually inappropriate remarks regarding his genitalia. She also revealed that she had made numerous attempts to contact Mayor Arnell Willis to discuss the situation but that Willis was never at City Hall after numerous attempts by the Mother to see him and would not answer his phone. The Mother also told The Inside Scoop that no decision had been made concerning the possibility of any reports to the police department because of fear of the toll that it could take on her young daughter. The Inside Scoop has verified with two separate sources that Mayor Willis has been made aware of this situation. At press time, Willis had taken no action against Banks, who has been one of his most controversial department heads. Banks replaced college-educated and reasonably successful O'Shea Burrell, who was fired by Willis with no explanation within Willis's first week in office.